During the month of October, the world comes together to raise awareness for bullying prevention and to reflect on where we have been, where we are now, and where we hope to be in the years to come. This year’s National Bullying Prevention Month marks the 12th anniversary of its initiation by PACER’s National Bullying Prevention Center. This month serves as a reminder that any incidents of bullying or incivility must be addressed, especially in healthcare where the way we treat each other affects someone’s life. According to a survey of more than 4,500 doctors, nurses and other hospital personnel, 71% linked disruptive behavior, such as abusive, condescending, or rude, insulting personal conduct, to medical errors, and 27% tied such behavior to patient deaths (Rosenstein and O’Daniel). We owe it to the public and to ourselves to stop using silence as a strategy when dealing with disruptive providers, nurses, and support staff! In honor of bullying prevention month, I’ll be sharing content based on my five (5) step process to address bullying and incivility in healthcare. These best practice tips are designed for the healthcare leader. However, if you’re a clinical nurse, nursing assistant, or other healthcare employee, these tips will help you too! Every day someone reaches out to me asking for help with a perceived bullying situation. However, not all bad behavior can be considered bullying. The key to addressing and eliminating bullying behavior is to get clear on what it is, what it is not, and how it shows up at work. Check out these articles and then test yourself at the end. In this article, I help the reader to understand some of the basics regarding bullying. You’ll learn that bullying is a BEHAVIOR – not a person and how bullying undermines a culture of safety. You’ll also discover who is responsible for addressing bullying behavior! My manager is bullying me. My preceptor is a bully. I’m being bullied because …on and on. So many of us complain that we’re being bullied when in fact, we’re not being bullied at all. In this article, you’ll learn what bullying is and what bullying is NOT! Disruption, Incivility, and Bullying: What’s the Difference? In this article you’ll discover how to clearly identify if an employee is bullying someone or just being uncivil. Although incivility can lead to bullying, not all uncivil acts fit the definition of bullying. As a leader, you need to know the difference so that you can utilize the right strategies. As an employee, you need to know so that you can report appropriately. Let’s test your knowledge! Here are a few situations in the workplace involving bad behavior. Review each and using the criteria you’ve learned in the articles above, determine if these are examples of bullying or something else. Donna and Michelle usually get along. However, today they got into a heated discussion about staffing. The discussion ended when Donna grabbed Michelle by the arm and then walked away. – Is the behavior harmful – Yes! So what is it? It’s a single act of aggression. It appears that Donna got angry and physically assaulted Michelle. Based on the scenario, it doesn’t appear that this behavior has been repeated or that Donna has targeted Michelle (they usually get along). However, this behavior absolutely needs to be addressed!!! But it’s not bullying. 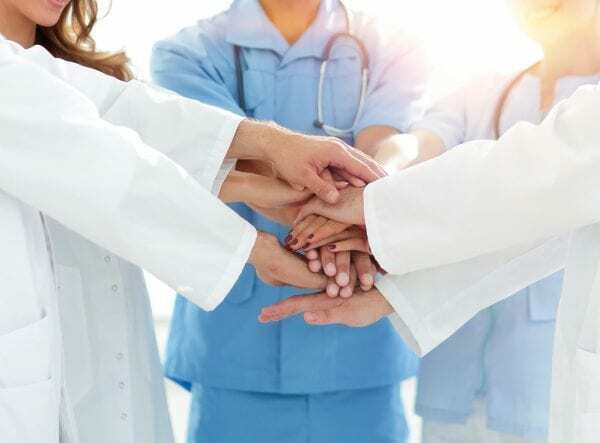 In this morning’s unit huddle, you notice that as your manager discusses the unit’s new culture of caring initiative, Kristy, one of the experienced nurses, sighs, rolls her eyes, and murmurs under her breath, “Another flavor of the month”. What is it? It appears to be incivility based on the information we have. Even if the manager was a target and this nurses behaved that way over time, eye rolling by itself isn’t harmful IF that’s the only behavior displayed. If I were that manager, I would definitely address this behavior because Kristy is undermining her authority!!! You’ve noticed that when you follow Jerry, one of the newer nurses, he frequently forgets to turn the bed alarms on the patients who are a fall risk. When you bring this to his attention, he claims you are bullying him. Jerry is receiving constructive feedback. Sometimes, nurses, especially new nurses, will pull the bully card any time they receive negative feedback. Giving feedback is NOT bullying. However, to mitigate negative reactions, let any new employees know ahead of time that you will be providing ongoing feedback to help them grow. You’re having marital issues and confided in Stephanie, a coworker. She has been so concerned and always encourages you to talk about it when you’re working together – sometimes in front of patients. You are asked to meet with your manager who then lets you know he is concerned about the amount of time you’re spending at work talking about your personal issues. One of the nursing assistants tells you it was Stephanie who complained to the manager. – Is there a target – Yes! – Has it been repeated over time – Yes! Yes!! This is an example of bullying. These mean nurses actually encouraged Stephanie to talk about her problems and then tattled on her! Trust is the foundation of a healthy workforce culture. If you don’t trust your coworkers, your patients will suffer the consequences. Every time Sierra follows you, she refuses to take report from you. Once she made the comment, “Trust me. There’s nothing you can tell me that I can’t find out for myself.” Despite your insistence that she take report for the sake of the patients, Sierra refuses. However, you noticed that she takes report from everyone else. This is an example of bullying. Sierra gets report from everyone else – it’s just you she refuses to take report from. By not getting report, you are putting the patient at risk, so yes, the behavior is harmful. And we know she’s behaved this way before. So, yes!!! This is bullying. During National Bully Prevention Month and beyond, let’s all do our part to stop the cycle of workplace bullying and incivility. Bad behavior won’t go away on its own. Cultivating and sustaining a professional, supportive, and respectful workplace requires all of us stepping up as professionals! If you’re a leader in a healthcare organization and want to learn more about my 5-step process, click here to schedule a 30 minute discovery call with me! Let’s explore what’s possible for you and your employees. Thanks so much for reading. Take care and stay connected!